HTC has released its unaudited October 2012 financial report, which displays a YoY (year-on-year) decrease in revenues of 60 percent. Last month the manufacturer revealed it brought in NT$17.2 billion ($588 million), down from NT$44.114 billion ($1.5 billion) during the same period in 2011. It's not looking rosy for the Taiwanese handset maker, but how can it look to improve? Revenues of NT$246 billion ($8.4 billion) are reported by HTC for the year to date. The somewhat disappointing news follows figures present in the Q3 report, which was released last month. The company missed its revenue target, experiencing a 48 percent YoY fall in revenue for that quarter. 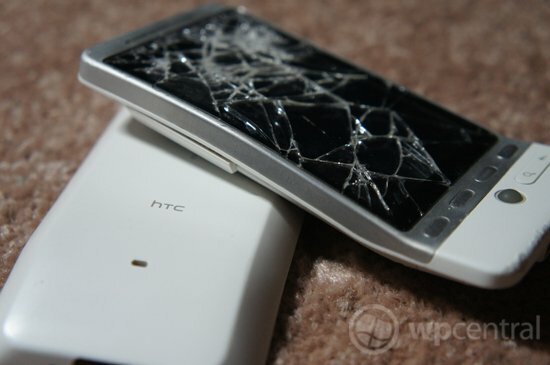 It's difficult to see how HTC can go on the attack to get out of the down spiral the company is currently in. Its Android army of handsets have been overshadowed by Samsung's success, and Windows Phone is still yet to take off. Caught on a see-saw, we're seeing HTC refresh its partnership with Microsoft to push out the Windows Phone 8X and 8S smartphones. Utilising Microsoft's Windows Phone 8, the company is offering something new for the platform with unique colours, hardware, and of course its Beats Audio. As well as both the 8X and 8S, HTC will be hoping its One X+ Android offering also performs and is well received by consumers, not to mention the yet-to-be-announced Droid DNA. We're yet to see how HTC's latest hardware performs, only sales figures and future finance reports will reveal where the manufacturer is heading. We're sure Windows Phone fans would like to see further marketing from the company to push launched hardware, to match Nokia and Samsung's future efforts. If we were to predict anything out of this, we'd say HTC will play a more prominent role in 2013 with its new batch of Windows Phones.